In an inspiring setting in San Juan Islands, this Lummi Island vacation rental is the perfect destination for family get-togethers, girlfriend getaways, relaxing retreats, honeymoons and weddings. 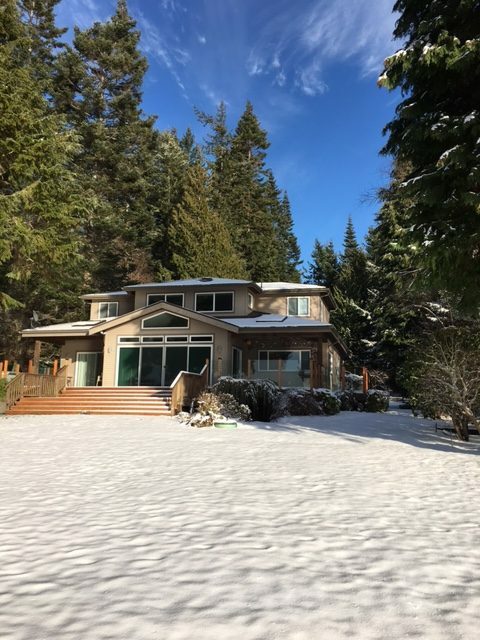 This welcoming 4 + bedroom, 2.5 bathroom Lummi Island vacation rental, on the rural coast of Washington State, accommodates up to 11 persons. 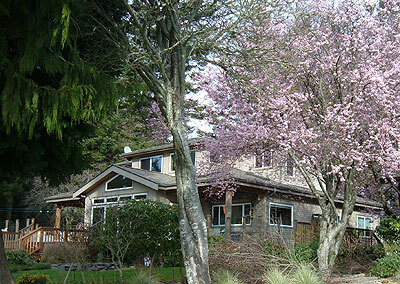 Lummi Island Beach Haven is a wheelchair accessible vacation rental. Built in 2000, this island home invites you to relax and take in endless views of the San Juan Islands, shipping lanes, Orcas Island, the Rosario Straits and the Straits of Georgia. You will see a variety of tug boats, tankers, submarines, sailboats and the the Alaska State Ferry on its 1,000-mile voyage along the Inside Passage. During the winter months this coastal island rental is the perfect spot during Storm Watching Season. Lummi Island Beach Haven is located directly on shores of the Rosario Straits in the San Juan Islands. The beach and beach deck are accessed by a private stairway directly to the beach from the front yard. The beach on Lummi Island is perfect beachcombing, nature walks and a fun place at low tide for clam digging, exploring tide pools and kite flying. Bring your rubber boots and your children and spend hours discovering the small worlds inside the tide pools, full of starfish, hermit crabs, anemones, mussels, chiton and limpets. Go for a long walk to the southern end of Lummi Island via the driftwood, without ever touching the sand. A short walk along the tree-lined road in front of Lummi Island Beach Haven will take you to the Otto Farm Preserve. Here a nature walk on groomed trails through a forest of tall trees will lead you to the center of the silence of Lummi Island, a wonderful spot for observing birds and other wildlife. Plan your next trip to Washington State coast at this Lummi Island vacation rental and experience the magic of the San Juan Islands. It is easy to get to this particular San Juan Island which is located only 2 hours north of Seattle, 1 hour south of Vancouver, BC, and just a 10 minute ferry ride from the mainland. You will be glad you came. In a most peaceful spot on the planet, Lummi Island Beach Haven is available year-round and awaits your discovery. 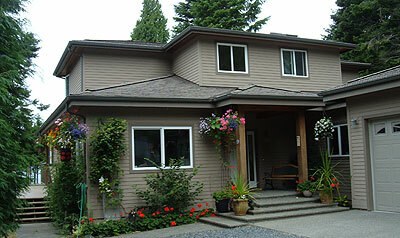 We look forward to welcoming you to Lummi Beach Haven Vacation Rental ! After Labor Day you just might enjoy a quiet weekend on scenic Lummi Island. Shorter days are filled with beach exploration, long quiet walks and occasional winter storms. Special events take place among those who choose to remain during this special time of hibernation. Ask us about events scheduled during your reservation. Relax and enjoy two peaceful nights for $700. A wonderful way to taste the Island life. Offer valid from October 15 - April 30,2015. Certain restrictions apply.